During this festive season, multiple holidays, including Hanukkah, Kwanza, Christmas and New Year’s Eve, feature traditions intended to create a feeling of holiday spirit, a sense of unity and tidings of joy and goodwill. 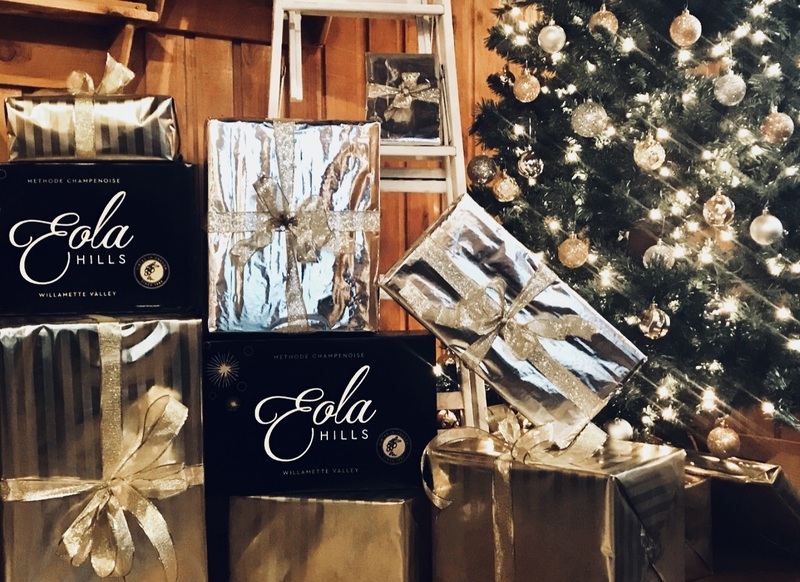 With so many holidays centered on gift giving and merriment, this time of year can be stressful trying to pick out the perfect gift, but we are here to help you! Holiday parties galore! You ask what you can bring and of course they say nothing… Pick up a bottle of Rudolph’s Pinot Noir, Vixen’s Vino Chardonnay, Blitzen’s Blanc Pinot Gris or one of our other Holiday Wines to dazzle your hostess and impress the fellow guests. Sparkling wine is always a festive way to celebrate loved ones or ring in the new year! This year we released three new sparkling wines. Sparkling Pinot Noir Rosé , Sparkling Chardonnay, and just this month our Comet’s Cuvee Oregon Sparkling Wine. Santa cookies, pies, and many other holiday desserts are brought to others homes this time of the year. Switch it up by bringing a Dessert Wine or just simply enjoy one of our Ports by the fire. The Holidays are a lovely time for traditions new and old and creating memories. Give the gift of an experience by giving tickets to our Murder in the Cellar on February 14th. Stop in our tasting room to stock your stockings and pick up local treats! New this season, our tasting room is carrying Group Up Nut Butters. It is the gift the gives twice! Every jar sold helps transition women out of homelessness. Grab a single jar or the Holiday 3-pack. We are also carrying local chocolates and other tasty treats!